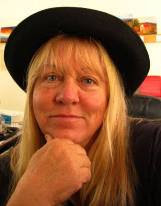 Wow, it has been a busy week. I have been going through a million or so papers, shredding, and getting ready to organize for taxes. I've been saying for a few years that I wanted to do this and finally, I'M DOING IT! Of course, my studio is kind of a disaster now because I brought all of my business paperwork in here to start my new files. 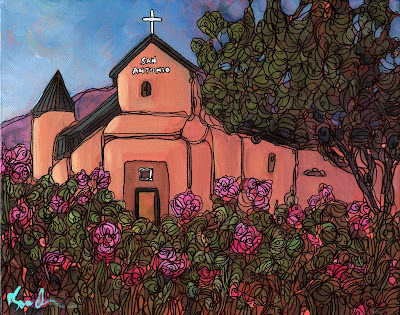 This is a commission of the San Antonio old mission church in Placitas, New Mexico. In the summer, it has the most beautiful roses blooming right in front of it. Tonight is the Casa Esperanza annual fundraiser - my bookshelf will be auctioned off to support this wonderful organization. I will take my camera and try to get some video of the action. WOW - this is so powerful - I love it!